Other religious designations operate mostly like “Christian.” Someone can be “a Muslim” or “a Muslim banker.” (“Muslim terrorist” is another matter—see below.) The religion itself is Islam, so usage differs somewhat from the Christian case, where the name of the religion is closely related. Also, we have the word “Islamic,” which we do not normally apply to people, except in cases where they have a formal or institutional relationship to the religion of Islam (e.g., “Islamic professor”). I’m not sure why “Islam” and “Muslim” are seemingly unrelated. When I was young, I was taught about “Mohammedanism” and “Mohammedans.” These are seventeenth-century words, but “Islam” and “Muslim” seem to be somewhat older. The related words “Islamism” and “Islamist” have taken on dark meanings in recent years. These have become specialized words related to a particular take on Islam. Mehdi Mozaffari, of Aarhus University, offers this definition of Islamism: “a religious ideology with a holistic interpretation of Islam whose final aim is the conquest of the world by all means.” Thus, we might speak of “an Islamist terrorist.” To speak of “an Islamic terrorist,” as do many Americans, President Trump most notably among them, is an unfair slur on the religion of Islam. Words related to Hinduism and Sikhism follow the usual pattern. Perhaps readers know of a religion whose related nouns and adjectives do not follow the usual pattern. Most Christian denominations have words that follow the normal pattern (think Presbyterians, Methodists, Mormons, etc.) Episcopalians, as in many things, are different. We speak of “an Episcopal church” or “an Episcopal priest,” but an individual member of The Episcopal Church is “an Episcopalian.” Only the ignorant speak of “an Episcopal.” Go figure. One of the societal problems ameliorated by the Affordable Care Act was that people were discouraged from changing jobs if they had acquired a chronic medical condition that was covered by insurance at their current workplace. The ACA lifted pre-existing-condition limitations on insurance and made it easier to afford insurance not provided through an employer. This obviously helped many individuals, but it also helped the economy, as workers could more easily change jobs to one where their contribution to the economy would be greater. House Republicans laboring to achieve consensus on a bill to repeal and replace the ACA have hit on a scheme to attract more votes from the Freedom Caucus. The latest proposal would give individual states the ability to tinker with insurance rates and coverage. If this idea finds its way into law, it will introduce a similar inefficiency into the U.S. economy. Workers who might want to change jobs to improve their lot (and that of the economy) would, with this provision, have to ask if moving to another state would cause them to lose vital medical benefits. This could deter worker movement. It could also encourage worker movement into more generous states, most probably those whose governments are not controlled by Republicans. House Republicans continue their race to the bottom in their devising requirements for a new health care bill. It is to be hoped that, as the leadership tries to satisfy the Freedom Caucus, less radical representatives will realize that doing so will create a backlash that will sweep GOP members from the House in 2018. President Trump’s second major initiative, his attempt to replace Obamacare with Trumpcare (a.k.a, the American Health Care Act) has crashed and burned. The disaster was even more dramatic than his failure to implement a Muslim travel ban, which, after all, though on life support, is not definitively dead. Alas, Trumpcare may not be definitively dead, either, as Vice President Pence is trying to sweet talk the Freedom Caucus into supporting a nastier bill that the one that went down in flames. Now, between fights over health care, seems a good time to offer some thoughts on health care in general and on health care legislation. Liberals argue that health care is (or should be) a right. Conservatives contend that people should be held responsible for their own health care and that having it provided through the government breeds dependency and self-indulgence. The Declaration of Independence asserts that among the “unalienable Rights” to be secured by government are “Life, Liberty and the pursuit of Happiness.” Without life, however, other rights and privileges are illusory. People who cannot afford health insurance—and even many who can—cannot be guaranteed the medical care required to keep them alive. Regrettably, medical bills are the leading cause of personal bankruptcy in the United States. Even with insurance, a person can be one accident or one infection away from a totally ruined life. Most people, however responsible, cannot protect themselves from every medical catastrophe. Ruined lives hurt the economy and any sense we might have of being a compassionate society. Virtually all developed countries save the United States have decided that the right to life entails the right to health care. Most people of working age get health insurance through their employers. It is individual employers who determine what sort of coverage is available to their employees at a reasonable cost. Why? There are historical reasons for the system, but they have nothing to do with health insurance being inherently connected to employment. Unemployed need health insurance, too. This senseless system has had unintended consequences, at least as far a public policy is concerned. It has kept people in jobs to maintain their health insurance even when the employee could be more profitably employed elsewhere. The ACA has helped mitigate this problem, but, of course, the GOP wants to get rid of it. Private health insurance companies; for-profit hospitals, labs, and imaging centers; rapacious pharmaceutical companies, and the whole fee-for-service system all help to drive health care costs higher. This is where the real savings are to be had. These sacred cows need to be taken on. The ACA did not do it, and nothing the Republicans will propose will do it either. For seven years, the GOP railed against the ACA. Candidate Trump spoke about repeal as soon as he got into office. Undoing Obama’s premier legislative accomplishment had virtually become the defining feature of Republicanism. And yet, when the GOP found itself in control of both houses of Congress, as well as the White House, it was obvious that Republicans had no real plan to effect their number one goal. President Trump had promised to repeal and replace Obamacare with something great, but it was clear that he had no idea what that great something should be. Moreover, it quickly became clear that a legislative “victory” on the health care front was more important to him than keeping his promises regarding retaining the parts of the ACA that were universally valued. He therefore farmed out creating legislation to Speaker of the House Paul Ryan, someone who didn’t care about Trump’s promises and who hated the ACA, taxes, and federal deficits. The Ryan bill was created in secret with no Democratic input and minimal input from House Republicans. What emerged was a bill that jettisoned the most important objective of the ACA—substantially decreasing the number of Americans without health insurance—and adopted what seems to be the Republicans favorite, but unacknowledged goal, namely, providing tax cuts for the rich. Alas, the Ryan bill, the American Health Care Act, was insufficiently meanspirited for the members of the Freedom Caucus, the outgrowth of the Tea Party. The Freedom Caucus simply wanted Obamacare gone. Attempts to mollify these extremists were not very successful and alienated non-crazy Republicans. In the end, the bill was pulled. At first, it seemed as though Trump and Ryan were ready to leave the ACA in place, letting (self-inflicted) wounds heal and giving time to craft a better-thought-out bill. It now appears that the Republicans will try to replace Obamacare sooner, rather than later. At the outset of the Obama administration, Republican leaders vowed to oppose the new president at every turn. They did so with great success, culminating in the blocking of Obama’s final appointment to the Supreme Court. Democrats tried valiantly—and foolishly, it turned out—to sweeten the ACA to attract Republican votes. Even though the basic outlines of the law were based on the plan implemented by Republicans in Massachusetts, congressional Republicans would not go along. Moreover, they and their allies whipped up opposition to Obamacare by lying about it. People were concerned that it would destroy Medicare, that their fate would be decided by death panels, and so forth. Countering the lies failed to move public opinion among Republican loyalists, and the belief that Obamacare must go became an article of faith disconnected from any objective analysis. Adherents to the faith increasingly elected like-minded people to serve in the Congress. As the Trump administration was moving toward repealing Obamacare and replacing it with a program that would hurt more Americans than it helped, public opinion began moving in favor of keeping and perhaps improving the ACA. House Republicans failed to notice; their faith remained intact. They acted—and are acting—like Lucy in the strip below. When circumstances change or more information comes to light, old assumptions not explicitly contradicted tend to be retained, however outrageous that may seem. As time passes, more Americans are concluding that the ACA may have more virtues than problems. Obamacare, it turns out, actually has helped millions of people. The next time Republicans try their repeal-and-replace trick. public opinion will be even more opposed to what Republican want to do. Rumors suggest that the next bill will be more draconian than the American Health Care Act. These trends almost certainly doom GOP plans, which will put yet another blot on Trump’s already tarnished escutcheon. If Republicans truly want to change health care in this country, they just may have to work with Democrats. Democrats will not agree to tossing the ACA overboard, but they would certainly be willing to improve it. Unfortunately for Paul Ryan, any bipartisan bill will not lower government spending or give tax breaks to the rich. It might, however, improve President Trump’s reputation. 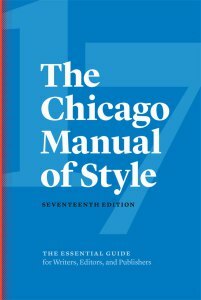 University of Chicago Press has announced that a new version of The Chicago Manual of Style, the 17th, will be published in September. (You can read the announcement here, though the page will likely change or disappear after publication.) CMOS has been my preferred style guide since I was a University of Chicago undergraduate. I always anticipate a new version of CMOS with mixed emotions. On the plus side, I hope that the new volume will offer reasonable resolutions to problems that have cropped up since the current version was released. Such problems could be caused by evolving social conventions, new technologies, or changes in the language. One the negative side, I fear that recommendations I feel are “right” might be thrown overboard. The aforementioned announcement inspires serious trepidation. Apparently, “e-mail” is to be replaced by “email.” The new form violates normal spelling conventions. Why shouldn’t “email” be pronounced “em-ail” or hyphenated as such over a line break? Will “e-book”—the current rendering advocated by CMOS—become “ebook”? I hope not. In any case, hyphens will be retained in both cases in my own writing. Additionally, “Internet” is to lose its initial capital. But surely this is a proper name, deserving of capitalization. I wonder if “World Wide Web” is to become “world wide web.” I have already lost license for use of “Web” as a standalone noun and for “Web site,” rather than “website.” Should I give in to common usage or fight a (probably losing) rear-guard action? Frankly, this liberal tends toward conservativism in things grammatical. I sincerely hope that the 17th edition will not go the way of The Associated Press Stylebook and advocate losing the serial (Oxford) comma. That would be too much to bear. The other downside of having a new CMOS published, of course, is the necessity of buying one to replace my 16th edition. The new book will cost $70. It is available on-line by subscription—most would write “online”—but apparently not as an e-book (or even an ebook). I will, of course, get out my credit card and order the new volume, hoping for the best. On the whole, mainstream media seem to be doing a good job covering the Trump administration. (Coverage of the presidential campaign is another story, of course.) 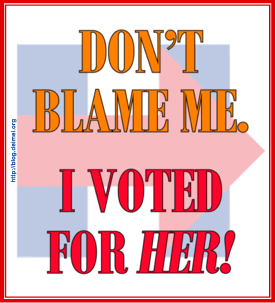 I am gratified that Trump or his surrogates are. with some frequency, accused of lying. Use of the actual words “lie“ or “lying” is becoming increasingly common. I have been disappointed on one front, however. Stories about General Michael Flynn often identify him as having been fired “for lying to the Vice President,“ or words to that effect. This is bad reporting that overlooks the uncertainty concerning Flynn’s dismissal. We don’t know the real reason Flynn was fired. We do know that the administration asserted that it was because he was untruthful in his dealings with Vice President Pence, who proceeded to make false public statements based on Flynn’s representations. Acting attorney general Sally Q. Yates warned the White House weeks before the Flynn firing that the general could be blackmailed because he had discussed sanctions on Russia with the Russian ambassador, but he had publicly denied categorically having done so. The real question is not why Flynn was fired but why he was not fired after the Trump team was told that he was compromised. Only after Yates’s damaging information became public was Flynn dismissed. It is possible, though uncertain, that Pence knew the truth when he defended Flynn in a television interview. 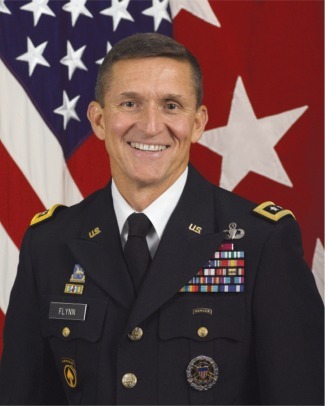 The public should not be allowed to forget that Flynn was likely sacked not because he lied but because he was caught lying. It is ironic that the administration has lied about Flynn’s lying. Unfortunately, the same personnel policy that ended Flynn’s government career is not being applied to his former boss. The poetry section of my Web site can be found here. If you have any good ideas for new poems, send me e-mail. 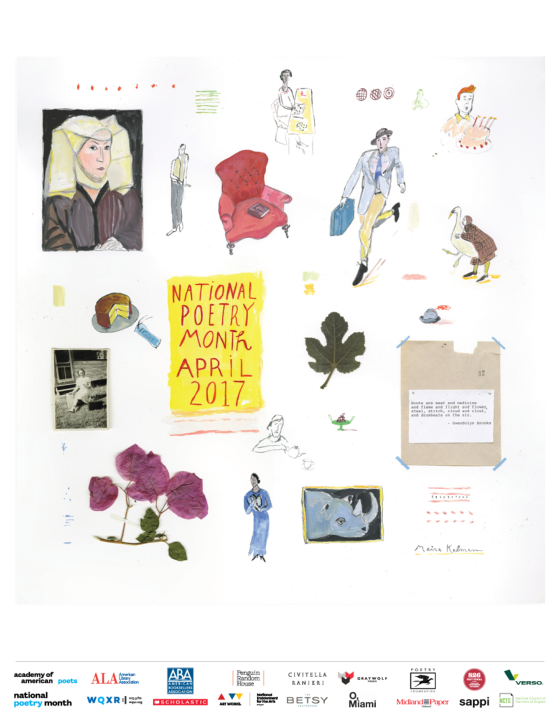 If you want to read the poetry of others, try this site.